Having trouble with obedience, getting your dog to play well with others, or teaching basic manners? 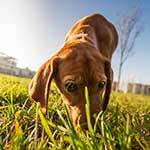 Paws & Play offers a new and exciting approach to canine behavioral solutions. We believe that your dog's training should fit with your family's lifestyle for the most successful results. We offer several types of training options and styles. That is why we recommend setting up a Free Evaluation with one of our experienced trainers. 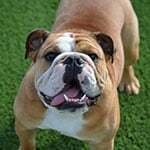 They will help point you in the most beneficial direction for your dog and your family. 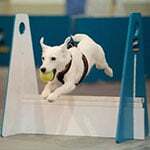 Customized training programs for your dog while they enjoy their stay. Group classes for all levels and ages. One-on-one lessons at our facility or in your own home. Training with playtime for greater retention. Work hands on with certified professionals during specialized events designed for all levels of experience. We’ll set up the most effective customized plan for training your dog, targeted towards your expectations. Our highly experienced and educated trainers will create your dog’s personal training program to reach your goals and needs. We believe that dogs should be taught using positive reinforcement and guidance. Our proven methods are a combination of carefully selected, researched and practiced techniques from all over the world. Our trainers are constantly continuing their training and behavior education by researching, studying, attending conferences and seminars, and creating new and exciting techniques right here in our own facility. Our training and behavior modification is always cutting edge and one step ahead of the rest. Dogs should be guided and not corrected into new behaviors. 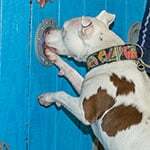 Every dog is unique and deserves a unique approach to their training. Training methods, programs, and tools should fit the family's lifestyle. Every dog deserves a chance to shine.